One of the clearest summers we've seen in our area lakes may be the sign of a big problem in Central Texas. The beauty of Central Texas is that instead of sandy bottoms many of our lakes have limestone beds. In the heat, the lakes can still fill with algae, but not this summer. They are exceptionally clear and the culprit may be the last thing you expect. Sometimes, the beauty around us hides secrets -- things you can't see clearly without a closer look. Brent Bellinger, Ph.D., the city biologist, is on the hunt for an invasive species that is invading our lakes. “I put these (metal plates and metal pipes) in about two months ago and this is the first time pulling this out. All four of the plates are pretty well colonized,” Bellinger said, pulling out the plates from Lake Austin. Zebra mussels were first spotted in Central Texas last summer in Lake Travis. “We set up these monitoring sites throughout to look at their migration up river,” Bellinger said. The water at Lake Travis and Lake Austin is exceptionally clear this summer. Scientists say it is actually a bad sign of a fast multiplying invasive species. A year later, their destructive behavior is showing up in the form of clear water. A single mussel is capable of filtering a liter of water in a day feeding on algae, making the water clearer. Less algae means fewer fish and that's not the only problem. Zebra mussels multiply quickly and attach to just about anything -- plates, pipes, rocks, and even boats. “They are covering my boat,” said one man who invited KVUE onto his boat to see the collection of small shells near his motor. “They can quickly and easily colonize on the underside of boats, hulls and motors, all other hard surfaces out here -- rocks, docks, piers will likely start to look like this,” said Bellinger. 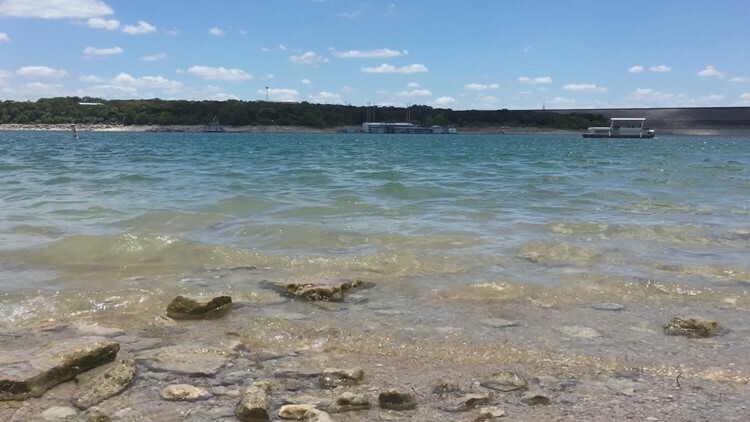 As inviting as the water in Lake Travis and Lake Austin appears this summer, Bellinger warns the mussels could soon cover the bottoms of our lakes. “That will be something that will affect recreational use because as people come wade into the shallow areas or beach areas, walking across rock or other stones. Zebra mussels living or dead shells can very easily cut your feet,” Bellinger said. The unknown of an unwanted creature lurking in all this inviting water. Native fish do eat zebra mussels, but not at a high enough rate to curb their growth. So for now, the goal is to remind boat owners to wash and dry their boats every time they enter a lake.